Such pretty golden-orange dichroic glass! I've tried to capture the true color as best as I can with the photographs, they look much richer in person. I've combined that unique golden-orange with bright red hearts and another stripe of orange. 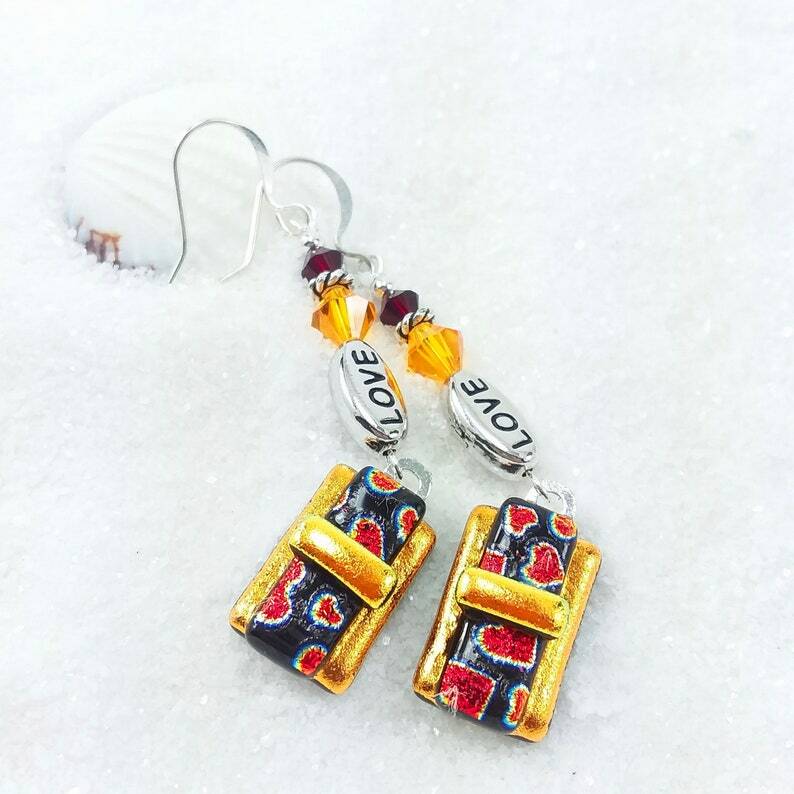 Sweet Sterling Silver "LOVE" beads as well as topaz and ruby Swarovski crystals. Set with silver plated bails & ear wires.